If you have ever looked at a Lhasa Apso and thought that they look rather regal there is actually a good reason for that. These smart pups make up a breed that has been around for at least 1,000 years and whose ancestors were tasked with guarding monasteries and palaces across the Himalayas while also serving as faithful companions to those that lived there. Although they usually stand less than a foot high the average Lhasa Apso has a healthy appetite, but what they are fed does make a difference, especially to that beautiful coat and the unusually thick skin beneath. But what is the best dog food for Lhasa Apso? We take a look at some of the most popular wet and dry dog food brands and recipes to begin to answer that question. What Foods To Feed Your Lhasa Apso? The dog foods listed below are just a few of the choices that pet parents have when it comes to keeping their Lhasa Apso well fed, there are of course many others. So just what should they be looking out for in general? Wet food can be quite palatable and particularly important to feed when your puppy is very young or your Lhasa Apso is very old due dental or intestinal issues. Most breeders and vets do not recommend a diet of only wet food, as it does not have the same fiber and consistency as the dry food. Ensure that the major ingredient in the dry food is not corn, corn meal or wheat. In addition to both wet and dry foods, check to make sure that the food contains the balanced nutrients your dog needs. The Lhasa Apso needs a diet that has quality meat-based proteins and 'good fat' and specifically contains vitamins that help keep the coat and skin healthy such as Vitamins A, C and B12 as well as Omega 3 fatty acids. The food should also address the health concerns that often specifically affect the breed, something that we'll take a look further below. Because their coat is so long and thick, and they are a 'stocky' little breed the Lhasa Apso needs a diet that is high in protein and fat. Most breeders suggest that the best food for them should have a fat level of at least 15%, although most agree that the protein source itself should be whatever the pup prefers (so that they will actually eat it ). Natural Balance LID Sweet Potato & Venison formula is, as its name suggests, a single protein formula based around tasty venison. Venison is a great source of Omega 3 Fatty acids, 'good fats' that more than satisfy the suggestions for fat ratios without adding empty calories that dogs simply do not need. This is a grain-free formula (something that is increasingly recommended for all dogs) and its other primary ingredient is sweet potato, a tasty veggie that is packed with beta-carotene, which is helpful not only for keeping a Lh asa Apso's coat shiny and healthy but also for protecting their skin and eye health . This recipe is fortified with a variety of extra vitamins and minerals, including iron, Vitamin B12 and Vitamin D3, which helps support lung functioned cardiovascular health. On the whole pet parents who are fans of Natural Balance LID Sweet Potato & Venison praise it for the fact that it seems to both help keep their fur kids coat in excellent shape but also for the fact that the taste is very popular, even with pups who are not normally fans of dried food . 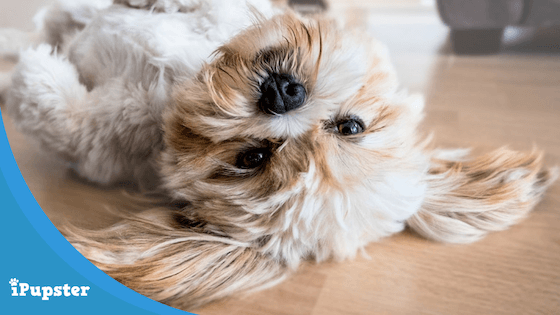 Just like humans, dogs do enjoy a little variety in their diet, which is why many Lhasa Apso pet parents prefer to feed their pups a combination of wet and dry foods over the course of the day. Canidae Life Stages Lamb & Rice Canned Wet Food is a premium wet food that is designed to fit right into this kind of diet plan. The primary ingredient, lamb, is sourced from high-quality stock and both muscle and organ meat is utilized in the formula to ensure that dogs of all ages are provided with a good balance of proteins and fats. Ocean whitefish, a good source of Omega 3 fatty acids, is also a large part of the formula as are protein and vitamin-rich ingredients like peas and salmon oil. While many Lhasa Apso pet parents are fans of Canidae Life Stages Lamb & Rice Canned Wet Food some do raise concerns about the fact that it contains carrageenan . Carrageenan is a common food additive used in both animal and human foods as a source of fiber. It is not an artificial ingredient - it is derived from red seaweed. The current FDA advice, however, is that carrageenan is 'not of concern' and many pet parents have expressed the same sentiment as this food is one their pups enjoy eating and seems to keep their coats shiny and tangle free . While holistic pet food is now very popular it is not new, or at least Solid Gold Wee Bits is not new. The manufacturer was, in fact, the first company to market such food in the US and have now been doing so for over 40 years. The composition of this evenly sized kibble is based around a single protein source - nutrient and protein-rich bison, a meat that provides a great deal of protein without the extra 'bad fat' that beef does, and the concept of '20 superfoods'. The 20 superfoods in question include pumpkin, carrots, blueberries, salmon, sweet potato and broccoli and the formula is designed to provide pups of all ages with the best combination of vitamins and minerals . Pet parents praise this food based primarily on the fact that their furkids enjoy it and even those with known food allergies seem to thrive on it. The Wee Bit With Real Bison, Brown Rice & Pearled Barley formula is a Life Stages formula which can be fed to both young and senior dogs and lacks any grain or artificial additives of any kind, something that some Lhasa Apso owners find to be very important. Not everyone has the time - or the budget - to shop exclusively at specialist pet nutrition stores or websites, so the fact that Purina One Lamb & Rice is readily available in most supermarkets these days is, in itself, a real boon for many busy pet parents who still want to ensure that their fur kids enjoy a great daily diet that will keep them healthy. Purina One Lamb & Rice is formulated especially with smaller dogs in mind - and the Lhasa Apso is considered such - and therefore every ingredient is not only added with balanced nutrition in mind but also the often a little more sensitive stomach of the smaller dog . The primary protein - lamb - is US sourced and provides not only essential proteins and vitamins but it also a good source of glucosamine, a mineral that helps keep the bones strong and the joints in great working order. There are, however, a number of additives in the formula to provide extra vitamins and minerals - including B vitamins that are good for skin and coat care - that are not directly food sourced, something that some pet parents are a little wary about. That having been said Purina One Lamb & Rice seems to be a hit with the pickier eater. In reviews, many pet parents share that this is the only food that their pup truly seems to enjoy and look forward to eating, which is in itself a plus as no matter how good a dog food is if it is not appealing to your pup they'll get no benefit from it. Lhasa Apso puppies are usually hungry little souls but most vets agree that their pet parents do need to be careful about just how they satisfy that appetite as a puppy is often not quite ready for an adult food. Wellness Small Breed and Puppy lists salmon as one of its main ingredients - along with fresh turkey - and that is important for puppies for several reasons. Salmon is an excellent source of protein, but one that is somewhat gentler on the stomach than red meats or chicken. It also contains the highest levels of Omega 3 fatty acids. These healthy fats are not only great for the coat and skin but also aid in brain development (it's actually the same for human babies) and so the more Omega 3's a puppy can get the better. Pet parents who are fans of this Wellness Complete Small Breed Puppy formula frequently comment not only do their pups seem to take to the food very well but that the smaller kibble size seems to make it easier for them to digest as well . Like many dog breeds, the Lhasa Apso is prone to certain health conditions as a result of genetics and lineage. These include intervertebral disc disease, kidney stones disease and eye problems . Calcium Oxalate urinary stones are the most common form of kidney stones and often develop in Lhasa Apsos more frequently than in many other dog breeds. Some pet parents are confused about just what can cause them though. 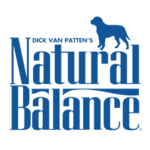 They often mistakenly believe that they can be prevented by cutting calcium from their pup's diet but that is simply not the case. Calcium actually bonds to oxalate in the stomach and helps guide it out, actually helping to prevent stones from forming. The real keys to prevention are ensuring that your pup does not get too much protein - as previously mentioned a good balance of fats and proteins is a must - and that the pup remains well-hydrated at all times, something that can be achieved by ensuring they have continual access to fresh, clean water at all times. The Lhasa Apsos skin is thicker than that of many dogs simply because it has to be. Their long coats are heavy, and so in order to support its weight that thick skin is very much needed! The problem is that this does make the breed more susceptible to skin diseases like Atopic Dermatitis, a common form of eczema that affects humans as well and can cause a red rash that is both itchy and painful. Dry skin is often a problem as well, something that can dull the coat as well as irritate the pup. Choosing a diet that is rich in 'skin loving' vitamins can be very helpful to prevent your Lhasa Apso from developing skin issues. Look out for foods that contain plenty of vitamin A, the B vitamin Biotin and Vitamin C. These vitamins also help nourish the coat, keeping it shiny and supple, just the way it should be. Limited Ingredient Diets or hypoallergenic dog foods can help reduce the risk of your pet developing a food allergy and are carefully formulated to be gentler on your dog's digestion. Progressive retinal atrophy (PRA) is a set of genetically inherited diseases seen in certain breeds of dogs such Boxer, Australian Shepherd, Poodles, Cocker Spaniels, Golden Retrievers including the Lhasa Apso. It results in the deterioration, over time, of the retinas and can eventually lead to blindness. Vets advise that Lhasa Apsos be screened for the disease as early as when they are a year old. And although there is no 'cure' there are certain things that pet parents can do to try to prevent the onset of Hereditary Progressive Retinal Atrophy. Ensuring that their diet contains plenty of beta-carotene which is essential for good eye health. Every pet parent wants to ensure, as far as possible, that they are providing their fur kid with all the nutrition they need. The foods we have mentioned here are especially good for doing that for the Lhasa Apso, which is a smaller dog with some unique dietary needs, including the need for excellent coat and skin care due to that majestic 'cloak' of fur that characterizes their look, that the best dog foods for Lhasa Apso address.